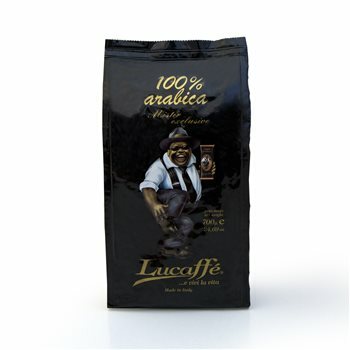 Arabica coffee from South America, Asia and a tiny percentage from central Africa. Probably no Arabica on its own can give the same results. Medium body, sweet flavour, very pleasing aroma which at times can recall newly-baked bread. When it has just been ground the scent is intoxicating. good value for money; good aroma and crema; better than those single origin or those claimed to be made by so call artisan, that turn everything into acid.